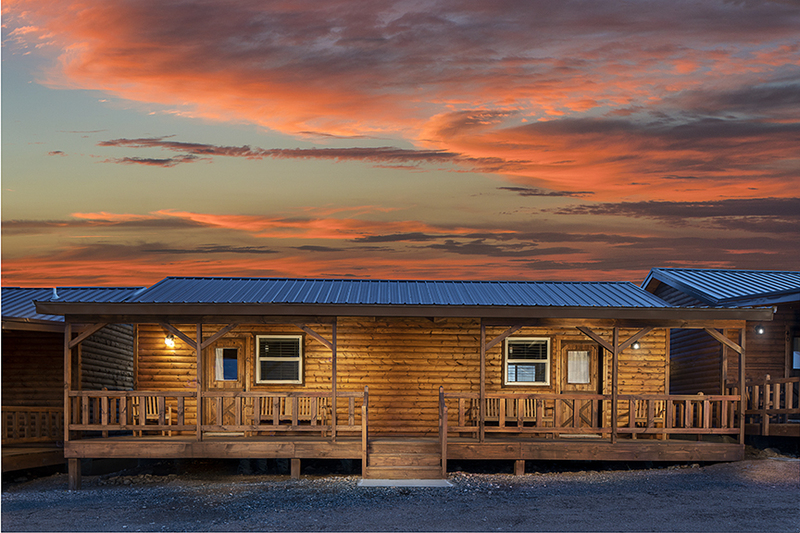 Check out Our Last Minute Deals Book Direct & Save Today! 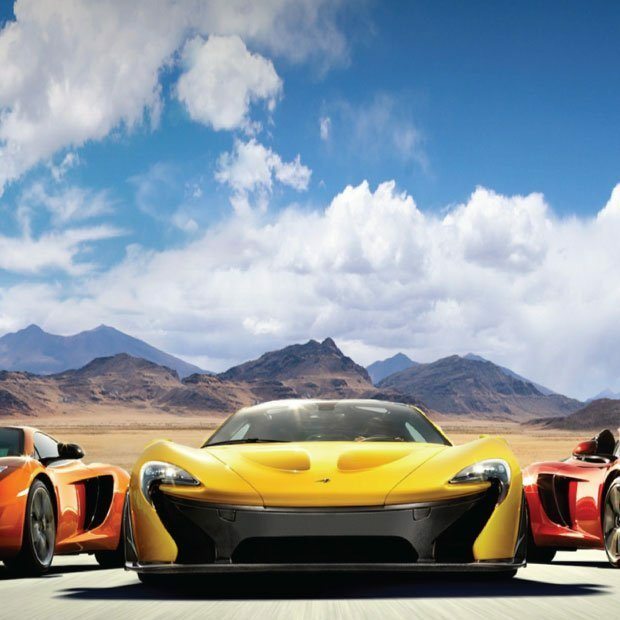 Check our LAST MINUTE DEALS OF THE DAY but hurry once the timer runs out the deal is gone. 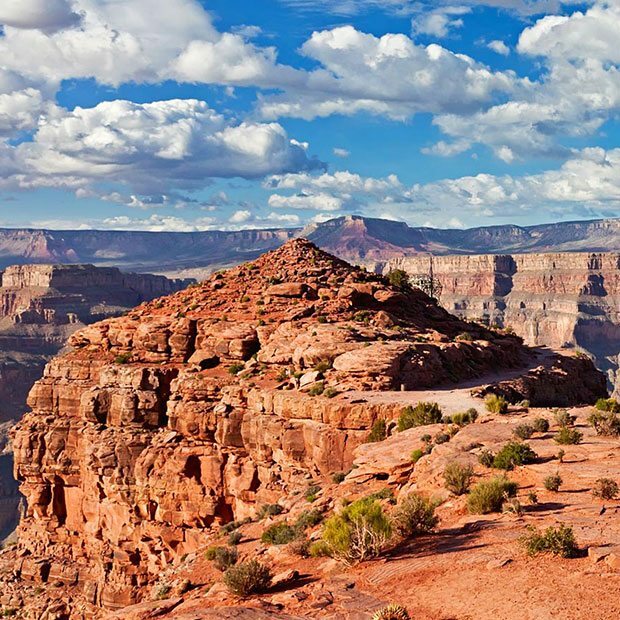 5 Star Grand Canyon Helicopter Tours provides luxurious Grand Canyon helicopter tours and flights at affordable prices. 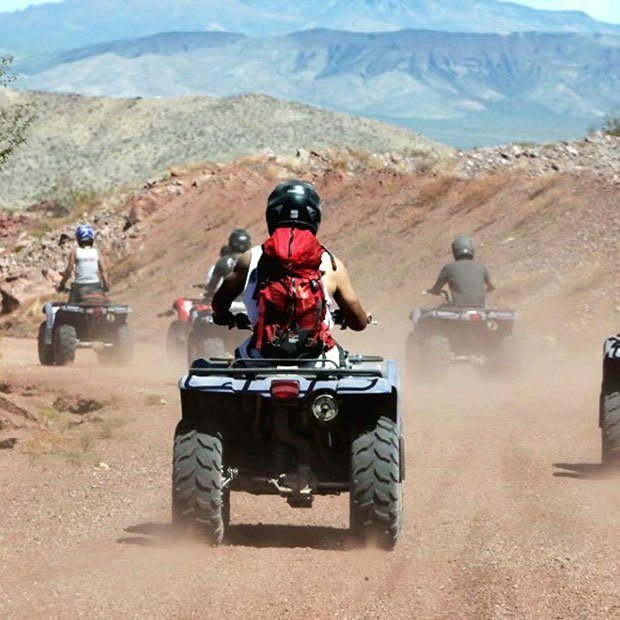 All our Las Vegas & Grand Canyon helicopter tours include Las Vegas Resort hotel pickup and drop-off service operated by our our luxury fleet of Mercedes Benz vehicles. 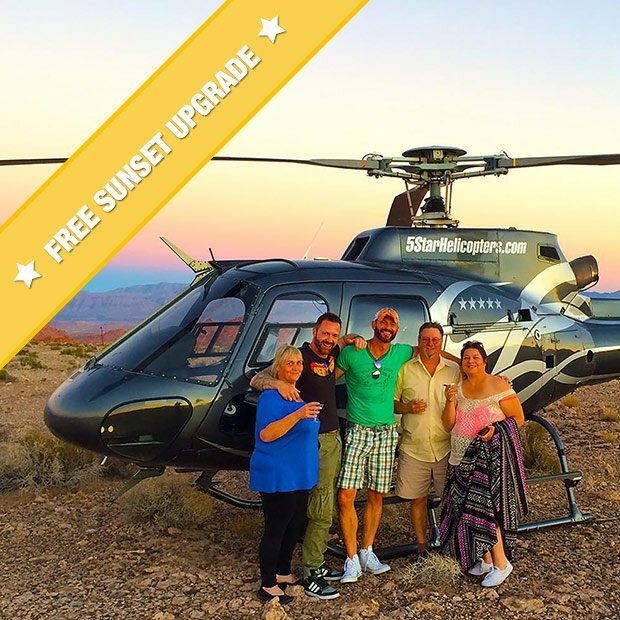 5 Star Grand Canyon Helicopter Tours exclusively operates a fleet of Airbus AS350B2 helicopters, which guarantees you all forward-facing seating for the best panoramic views of the Grand Canyon and Las Vegas Strip. 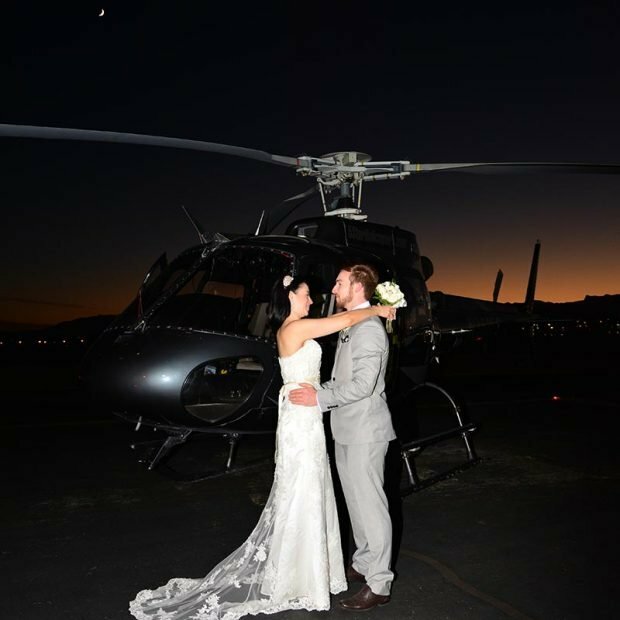 Our helicopter’s feature European leather seating, cream leather trim and wooden floor finish for the ultimate first class helicopter ride. 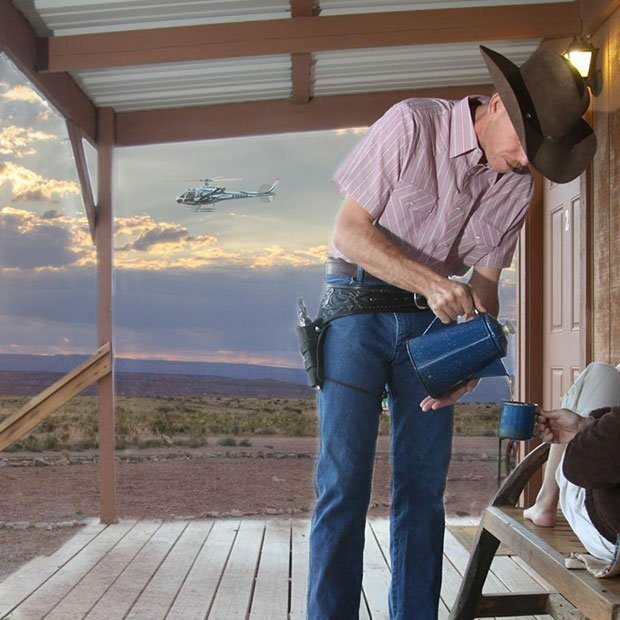 Our friendly professionally trained FAA Certified Pilots provide first-class service and tour narration, as they provide you with the history, culture and surrounding points of interest. 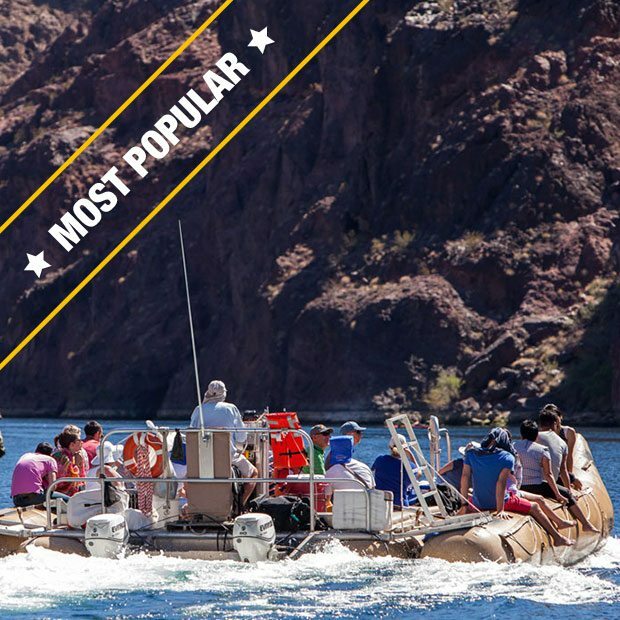 The 5 Star Team are here to share with you best top rated things to do in Las Vegas and the Grand Canyon National Park. 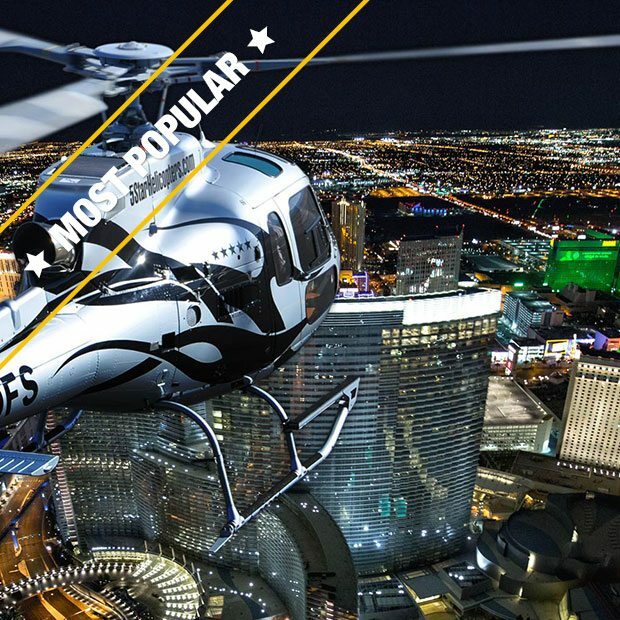 Our Las Vegas Night Strip helicopter tours operate from our private helicopter facility – located only 20 minutes from the Las Vegas Strip Resorts. 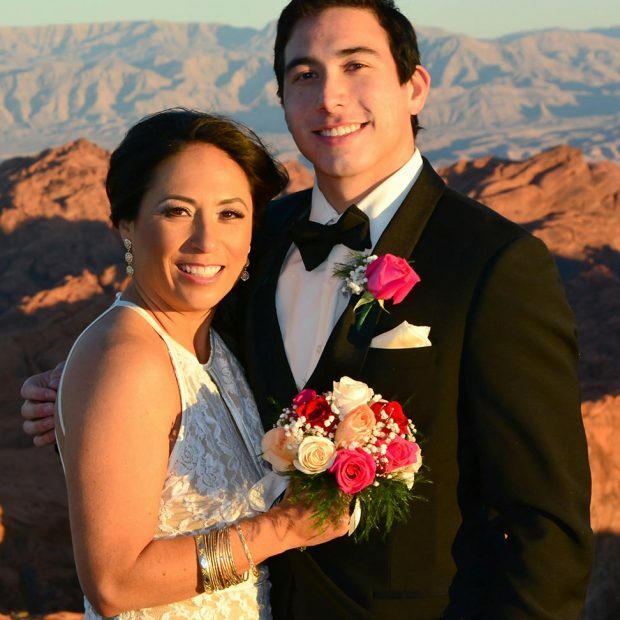 Upon arrival at our private helicopter facility, you will be greeted with a complimentary glass of champagne. 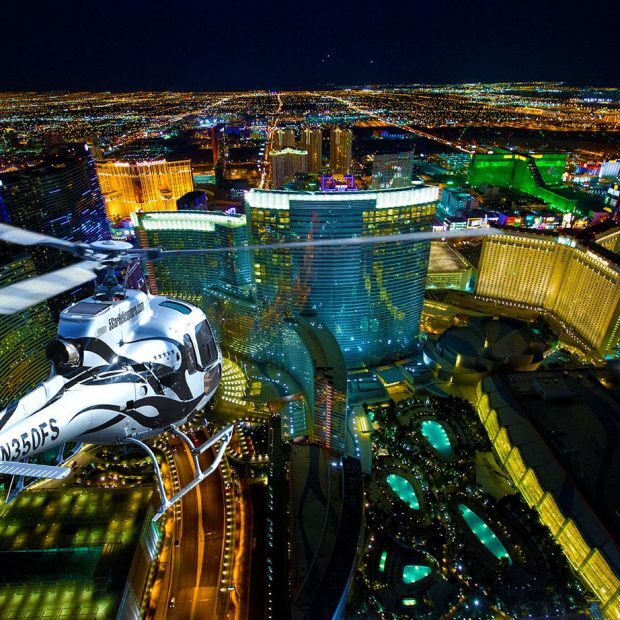 Board a luxurious 5 Star helicopter, as you rise above the Las Vegas Strip City lights. 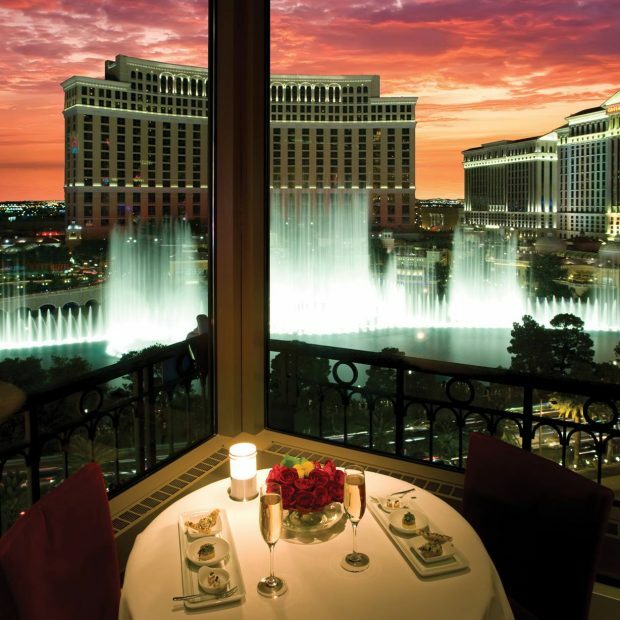 Choose 5 Star for a romantic Las Vegas helicopter tour and dining experience night out. 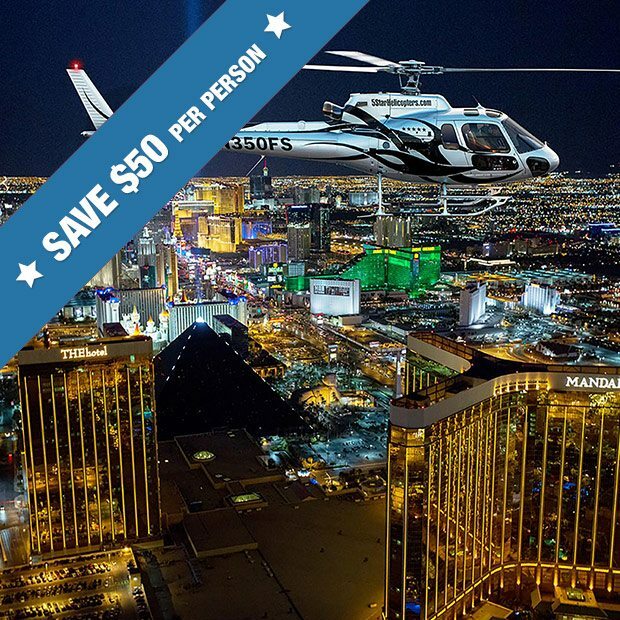 Our new Las Vegas VIP Helicopter Strip Flight & Eiffel Tower Dinner Celebration Package provides spectacular views above & below the Las Vegas Strip Resort Hotels. 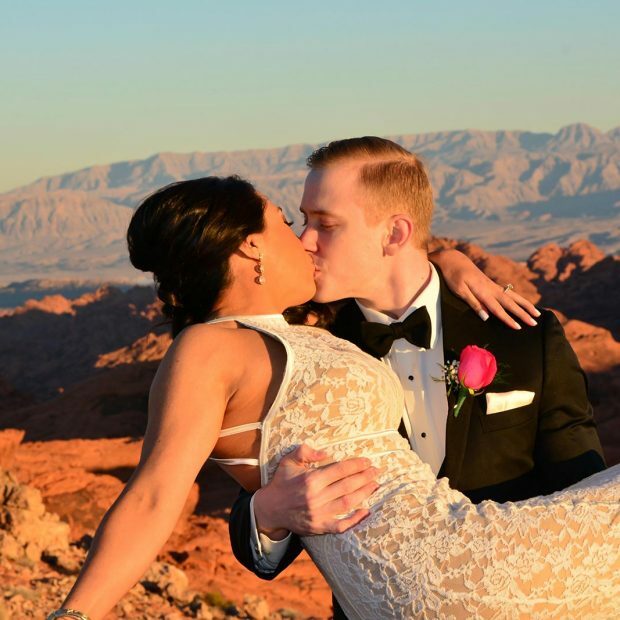 5 Star Las Vegas Helicopter Tours is proud to provide our Las Vegas & Grand Canyon Wedding Coordinator service, luxury limousine transfers and our VIP Wedding Room for private Wedding’s and Group events. 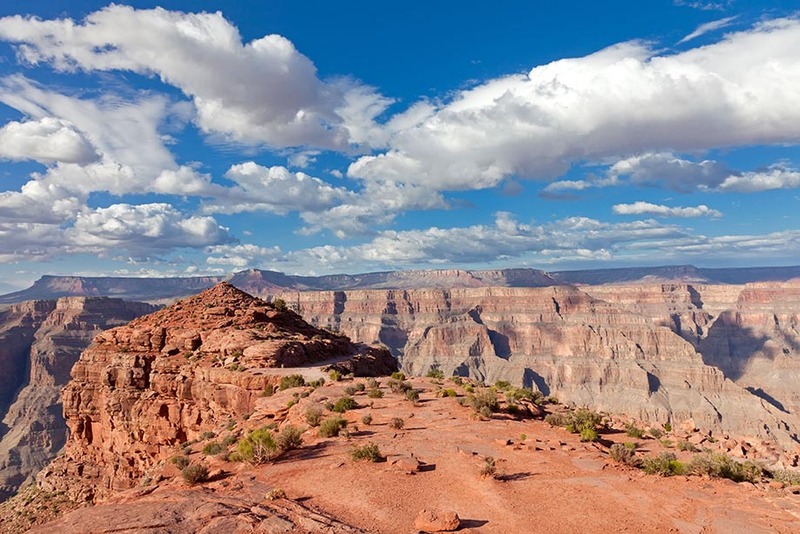 Our 5 Star Grand Canyon Helicopter Tours operate from our exclusive Boulder City Airport terminal facility – located only 35 minutes from the Las Vegas Strip. 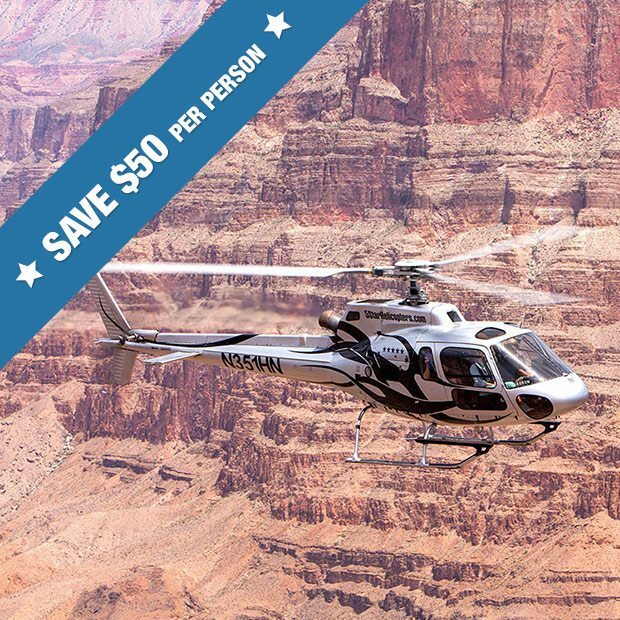 All 5 Star Grand Canyon helicopter flights include panoramic views of the Hoover Dam, Bypass Bridge, Lake Mead and ancient volcanoes – Fortification Hill, being just some of the highlights that your tour encompasses, before entering the Grand Canyon. 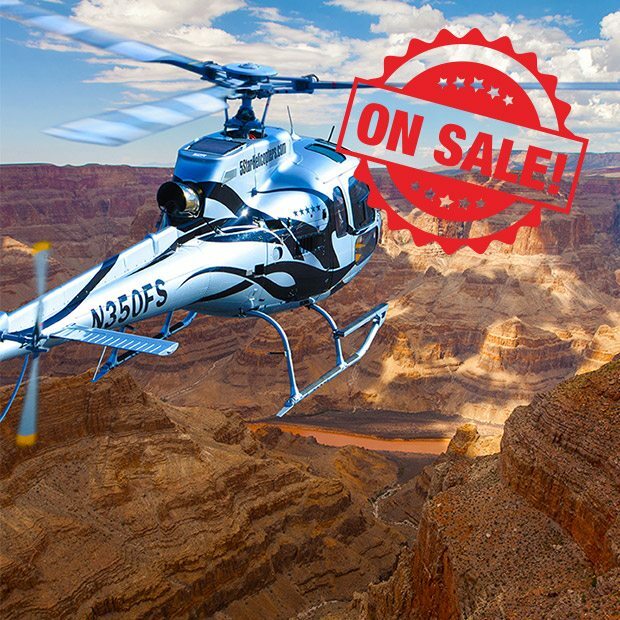 Choose our unique Grand Canyon Extended Helicopter Air Tour covering 30 miles above and below the canyon itself, as you soar below the rim of the Grand Canyon like a Golden Eagle, over the Colorado River by helicopter. 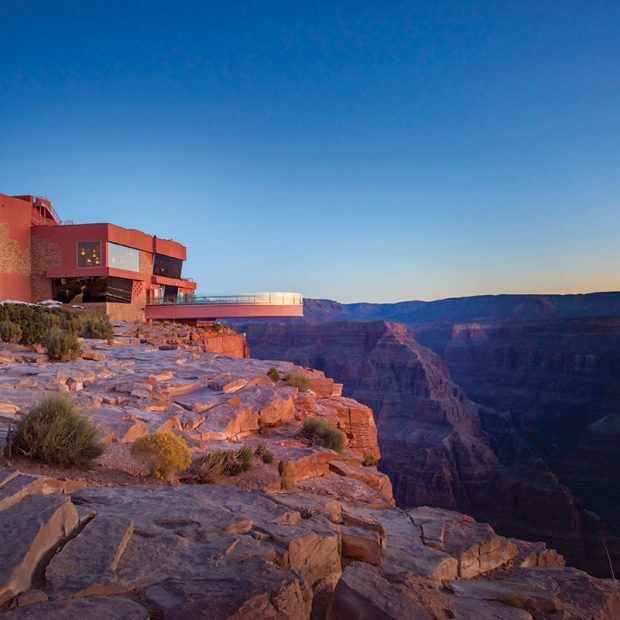 5 Star is proud to offer our new Grand Canyon Helicopter Eagle Point Rim Landing Tour. 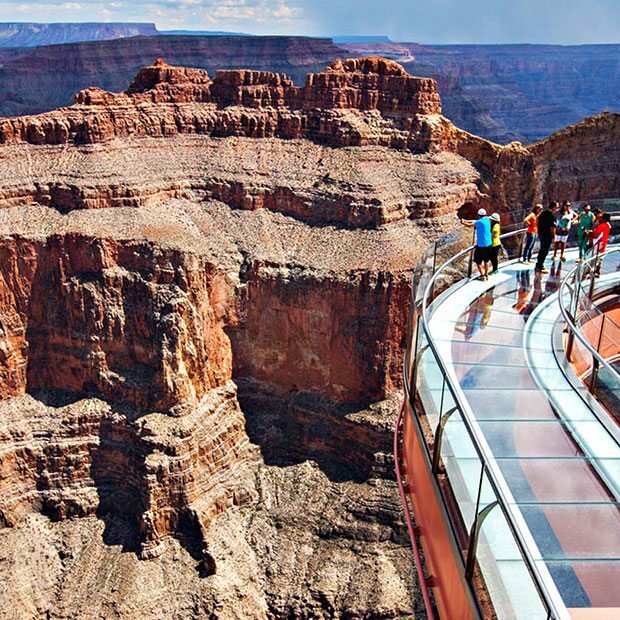 Fly above & below the rim of the Canyon with a one hour landing at Grand Canyon West, where you will be transported to Eagle Point – home of the Grand Canyon Skywalk. 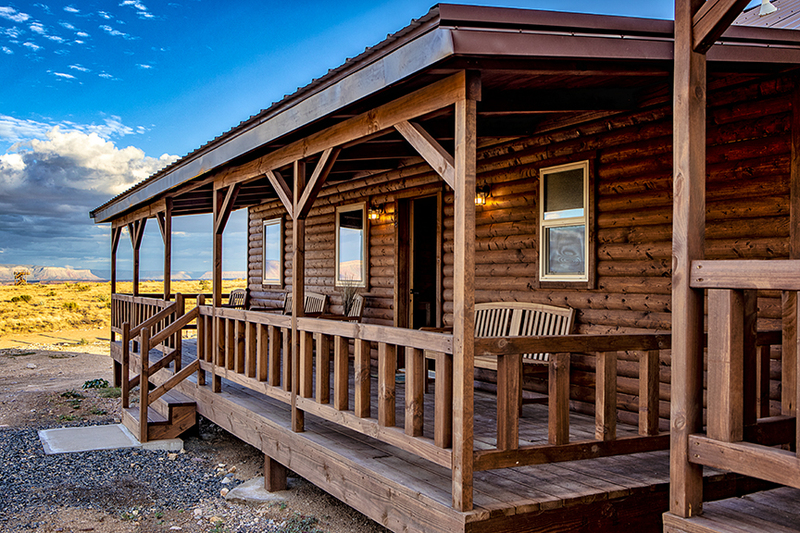 Capture the spirit of the American West on our Grand Canyon West Rim Hualapai Ranch cabin hotel stay by helicopter and ground tour. 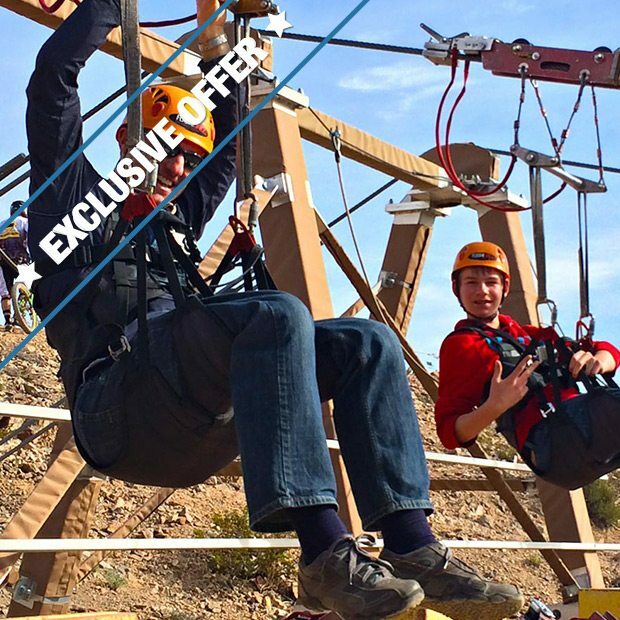 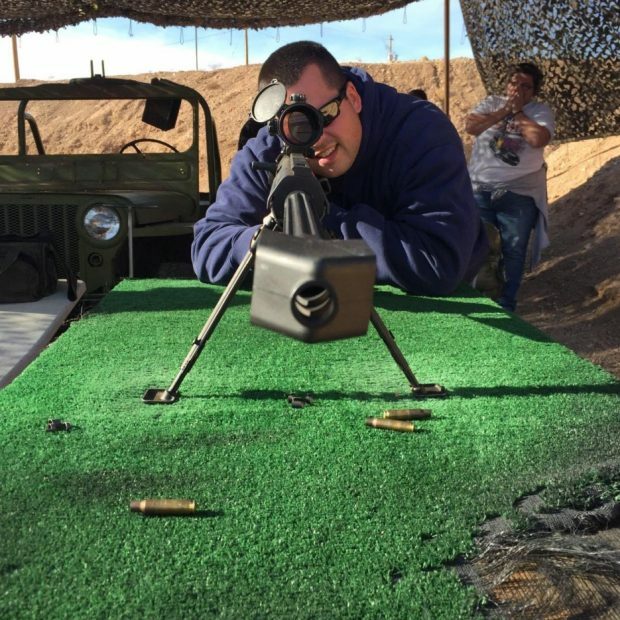 If your looking for Adventure, 5 Star Experts have a selection of exciting packages including the Las Vegas Zip line experience at Bootleg Canyon and a stunning Black Canyon River Rafting Tour starting from the base of the Hoover Dam & Bypass Bridge. 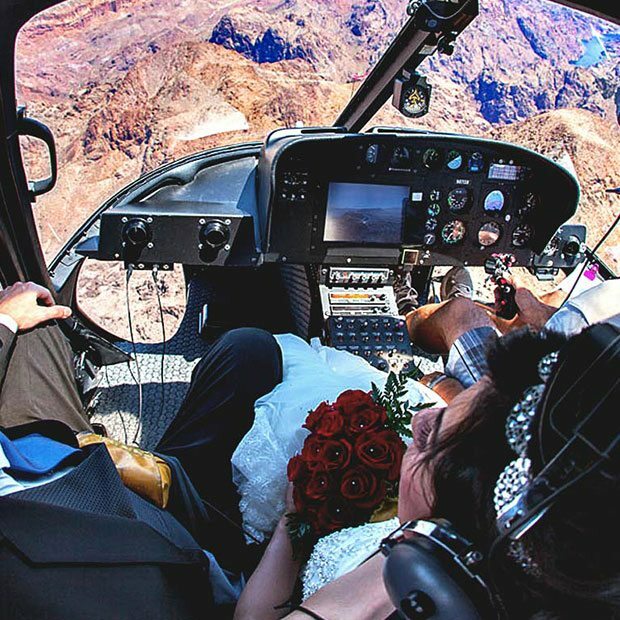 Nothing can prepare you for an exclusive Grand Canyon & Valley of Fire helicopter floor landing champagne tour. 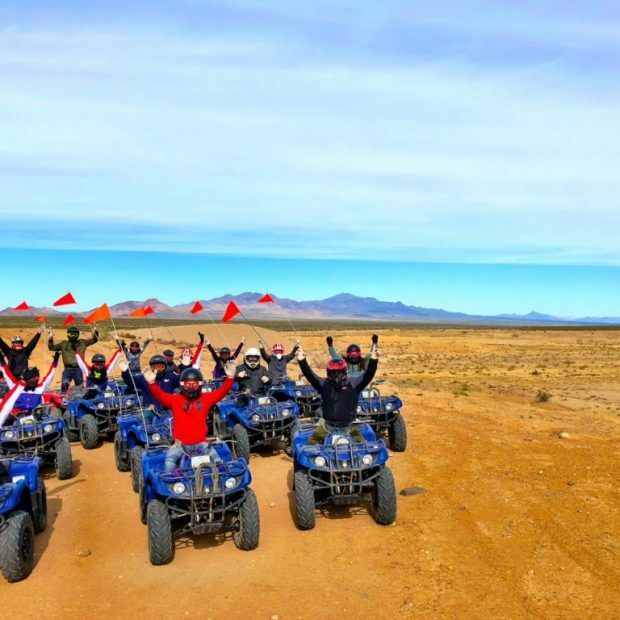 Share your stunning memories and panoramic views with your friends and family as we promise to give you the experience of lifetime. 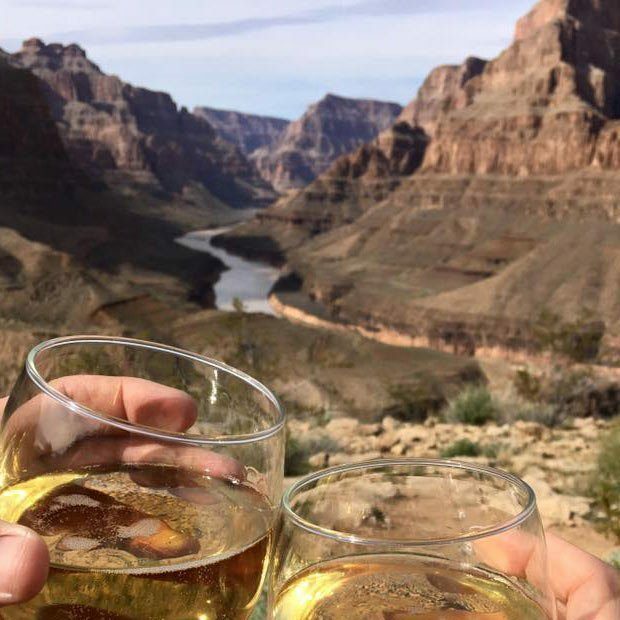 On your return after your Grand Canyon helicopter tour, enjoy complimentary champagne, wine, beer and soda in our VIP Arrivals Lounge before returning to your Las Vegas Resort hotel. 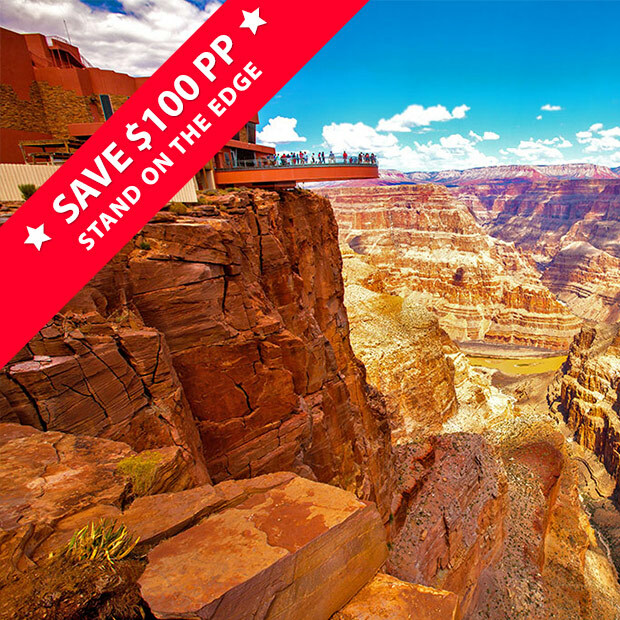 EXPERIENCE AMERICA’S NUMBER ONE NATURAL WONDER OF THE WORLD WHEN YOU FLY WITH 5 STAR GRAND CANYON HELICOPTER TOURS. 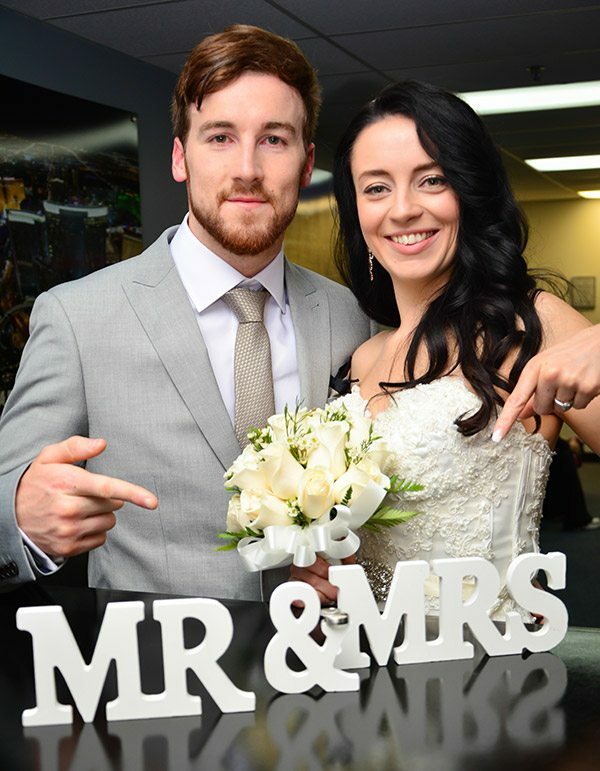 FIRST CLASS HELICOPTER TOURS AT AFFORDABLE PRICES!